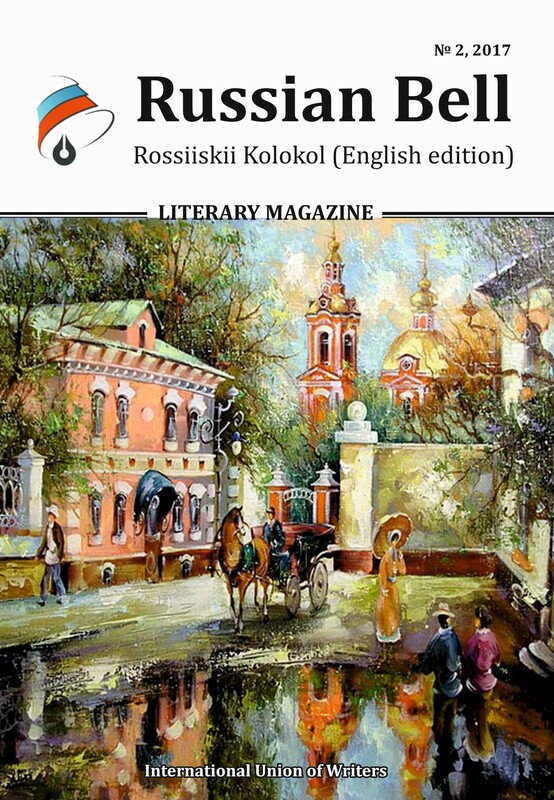 Dear readers and authors, you hold in your hands the first issue of the English literary magazine – The Russian Bell. 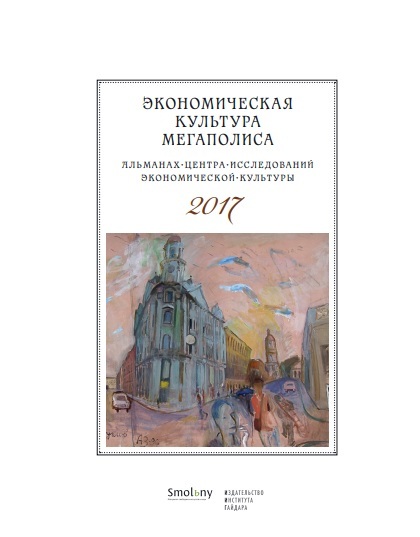 It is a new publication of the British branch of the International Union of Writers, developed with the support of the London literary award, the Award of Vladimir Nabokov and Russian magazine “Rossiskii kolokol” (The Russian Bell). 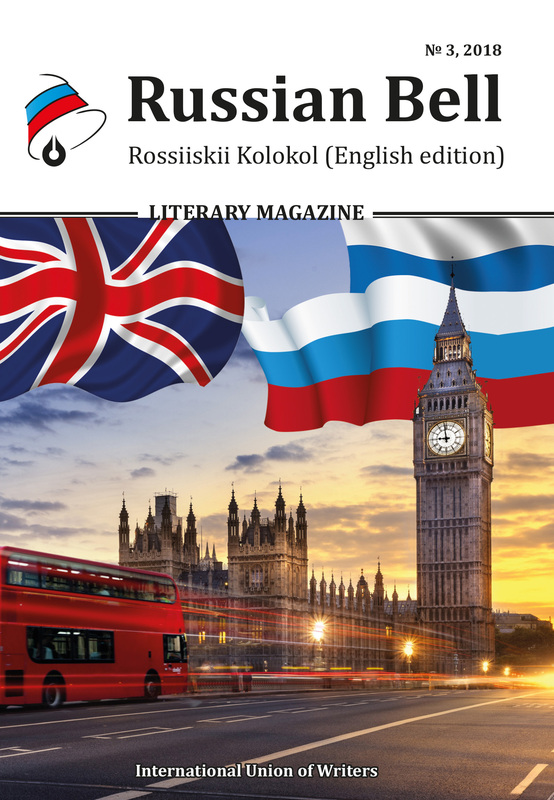 This issue presents modern Russian literature to a wide range of English readers. A vast wealth of creative authors will be revealed through this project! In the two parts of The Russian Bell you can find peculiar pieces of work of famous English authors sympathetic to Russian culture and translations of Russian writers’ works into English. 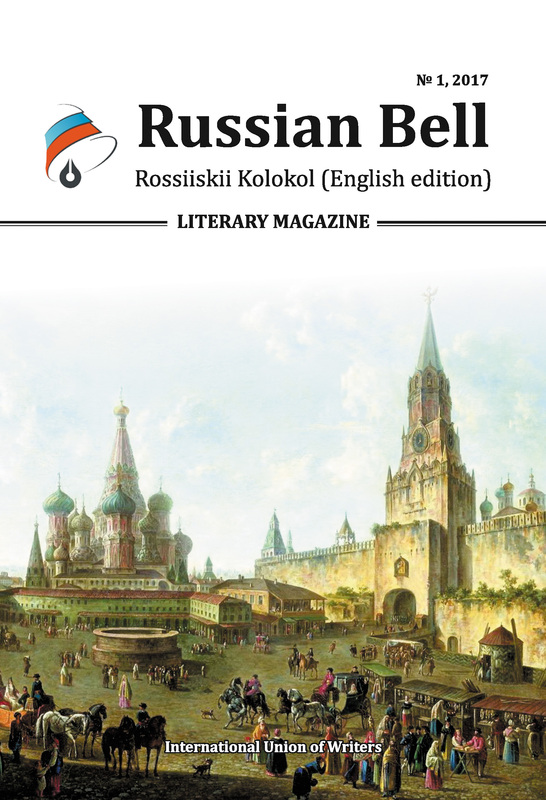 The Russian Bell magazine has a wide geographical distribution in the UK, the US, Canada, France, Germany, Belgium, the Netherlands, Switzerland, Israel etc. A considerable part of the publication is distributed to libraries and creative organisations throughout Europe and the North American continent.